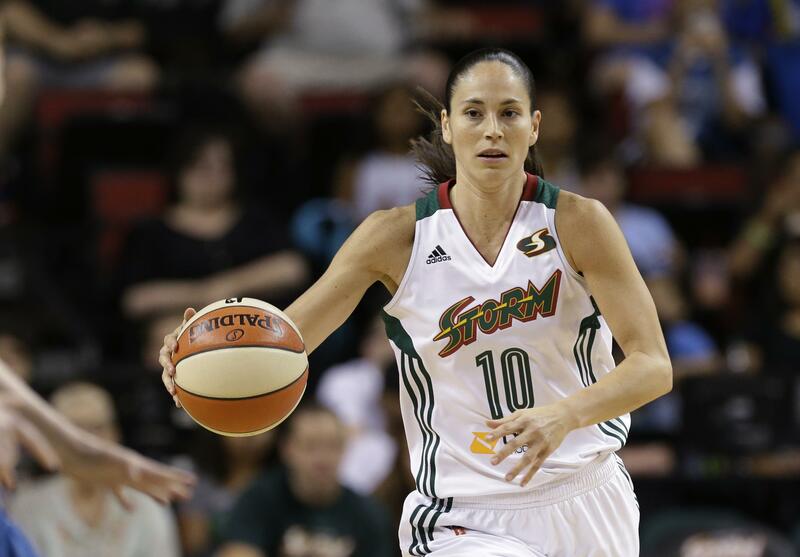 The veteran point guard signed a multi-year deal with the Storm on Tuesday. The 35-year-old Bird was the top free agent in the WNBA this season, although she was always expected to stick with the team she has spent her entire career with since being drafted No. 1 in 2002. Bird averaged 10.3 points and 5.4 assists last season in 27 games. She helped Seattle win WNBA championships in 2004 and 2010. The Storm, who finished 10-24 last season, have the No. 1 pick in the upcoming WNBA draft and are expected to select UConn star Breanna Stewart. It is the second consecutive season Seattle has the No. 1 choice. Last season, the Storm drafted Jewell Loyd, who went on to win rookie of the year. Bird is second on the WNBA all-time career list for assists and is ninth in steals and 11th in points. The nine-time All-Star was recognized as one of the league’s 15 greatest players in 2011. Bird has spent the offseason working for ESPN to get a feel for what that might be like when her playing career ends. Before Bird starts her 14th season in the WNBA, she will take part in training camp for the U.S. women’s national team this weekend in Connecticut. Bird has helped the Americans win the last three Olympic titles. The U.S. will be trying for a sixth straight gold medal in Rio de Janeiro this summer. Published: Feb. 16, 2016, 8:08 p.m.